After our early lunch at Manlawi Island, we hopped on our boats and proceeded to Sabitang Laya. Sabitang Laya is also one of the popular islands of the Caramoan Peninsula. This could be why there are already plenty of people by the time we arrived. Some of them even have tents set up and looked like they stayed there for the night. The sand here is still powdery white like in Manlawi but there are large rock formations even on the water. We had photos taken while sitting on these rocks like this photo of my sister-in-law and her family. There were also rocks with interesting shapes, like that one below which I used as a window in that photo. By that way, my brother-in-law went up that big rock over there and dived from there. Since he came out alive (LOL! ), I guess the water on that part is fairly deep enough. We also took that chance to take underwater shots which we were not able to do while we were in Manlawi. Next on our itinerary was Lagos (or Lahos) Island. Lagos was named as such because visitors pass through (lumalagos) a stretch of white sand in the middle of two large limestone rock formations. Our boat docked on one side of the island and we crossed over to the other side to swim. The waves on the other side was so strong that afternoon that the kids had fun letting the waters push them over to the shore! We didn't stay long because it was around 3 in the afternoon that time and the sun was really scorching hot. Besides, we were told that we should allot more time for Matukad Island which is just across Lagos. The island has the same powdery white sand of Lagos and the deeper waters of Sabitang Laya. But what makes Matukad Island special is the hidden lagoon in the middle of its limestone cliffs. Only Dadijun and our nephew, Olec, dared to climb the jagged rocks to see the lagoon. This is what the lagoon looks like. Jagged rocks all around and that is the closest you can get to see the bangus swimming in the lagoon. May bangus daw, wala naman akong makita, haha! We headed back home shortly after the boys came down from the cliff. As we traveled along, we saw this cove which, according to our boatman, is a private beach resort owned by a local government official. He also told us that one unit costs Php 15K a night. Tsismoso si Manoy, in fairness, LOL! 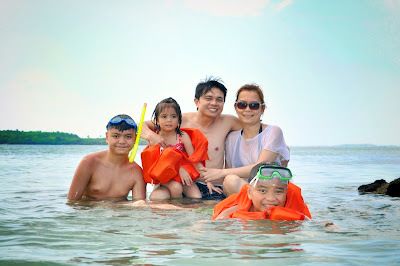 I was surprised that we did not go back to the port where we started our island hopping tour in the morning but at Paniman Beach which is the usual jump-off point. 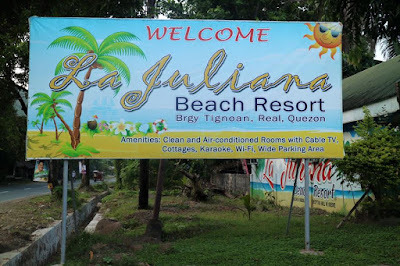 If you're planning on staying in a beach resort in Caramoan, Paniman Beach is the place to go as there are numerous options there such as Breeze and Waves Cottages and the Paniman branch of Rex Tourist Inn. Finally, after a 20-minute tricycle ride, we're back at Jallores Homestay just in time for the evening news. 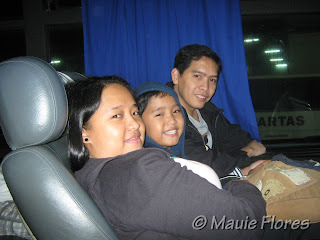 This post is the third of my Caramoan Getaway series. To read the rest of the posts, please click HERE.